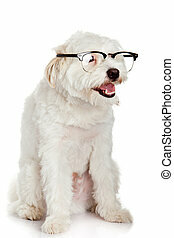 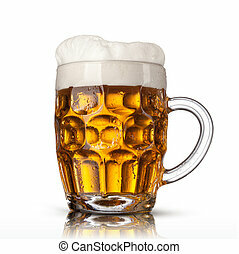 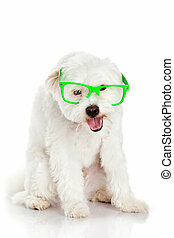 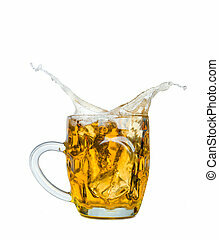 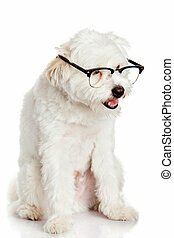 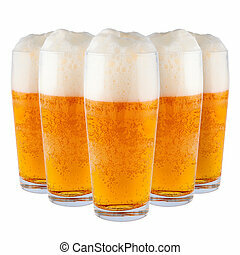 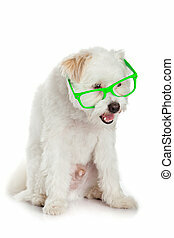 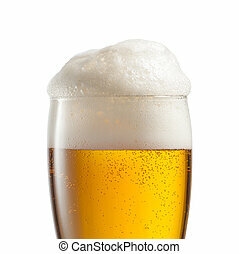 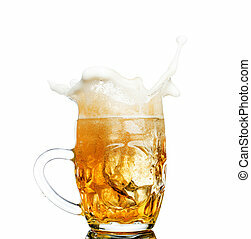 Beer in glasses isolated on white background. 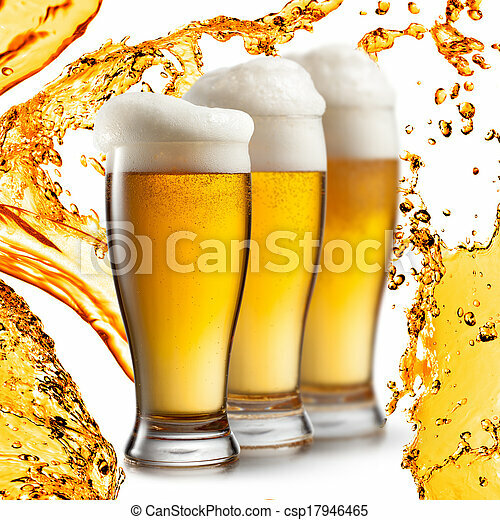 Beer in glasses isolated on white background without shadow, clipping paths. 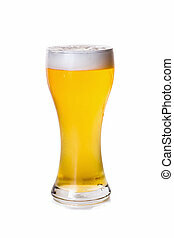 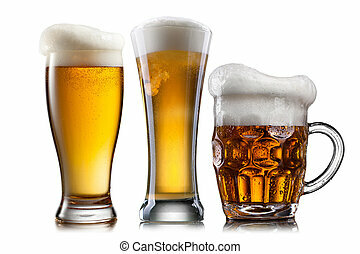 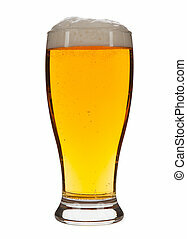 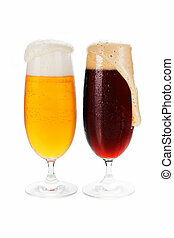 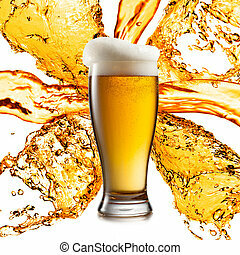 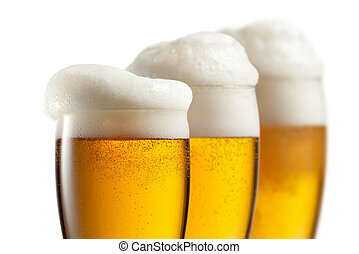 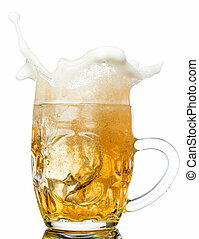 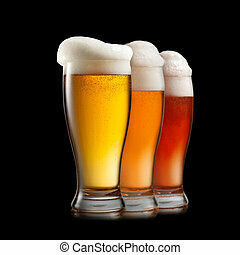 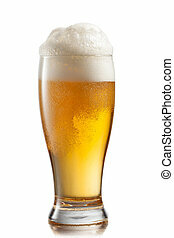 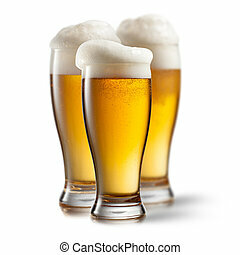 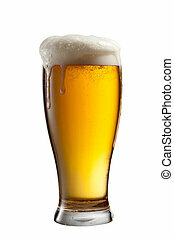 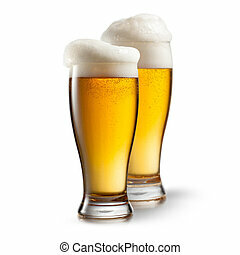 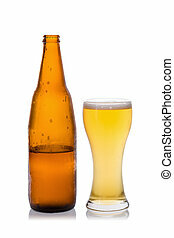 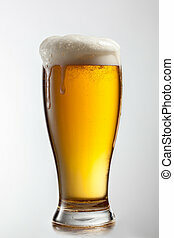 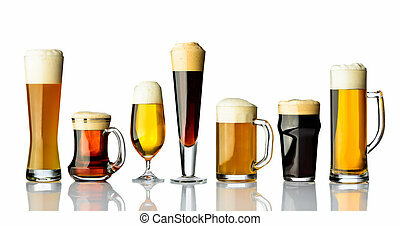 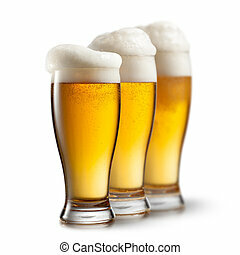 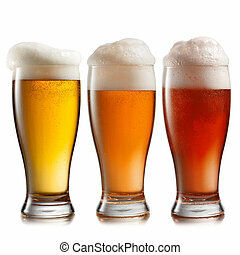 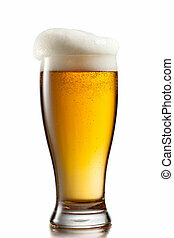 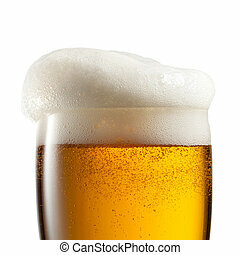 Lager and dark cold beer in glasses isolated on white background. 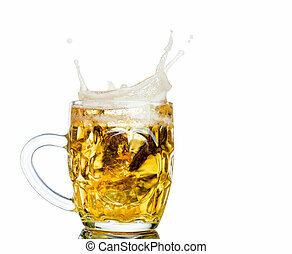 Beer splash in glasses isolated on white.